If there’s one thing that haunts Gulf airlines as they continue their indomitable march along the path of expansion, it’s the ever-present suspicion that they – unlike rivals in Europe and beyond – somehow enjoy unfair competitive advantages at their home bases. Accusations typically centre on supposed government subsidies and access to cheap fuel. 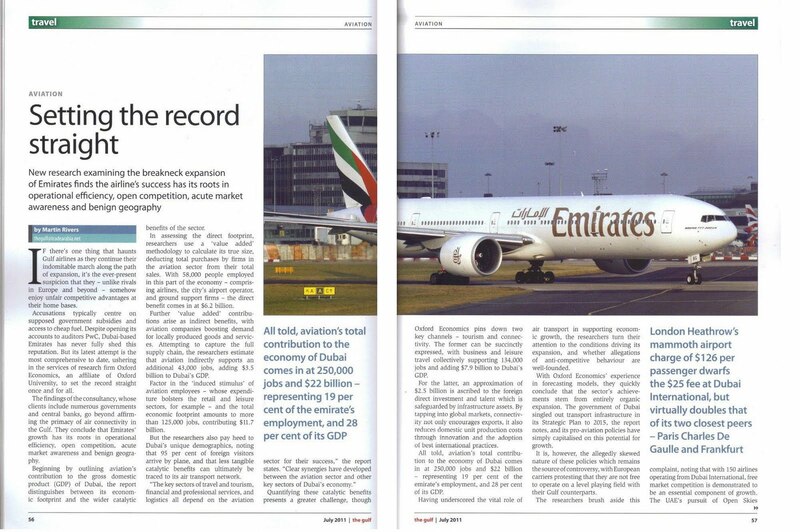 Despite opening its accounts to auditors PwC, Dubai-based Emirates has never fully shed this reputation. But its latest attempt is the most comprehensive to date, ushering in the services of research firm Oxford Economics, an affiliate of Oxford University, to set the record straight once and for all.